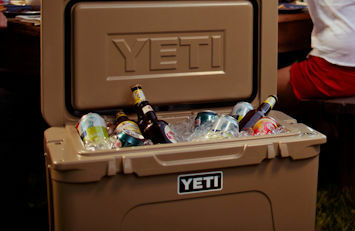 Coolers and Drinkware, built for the wild. 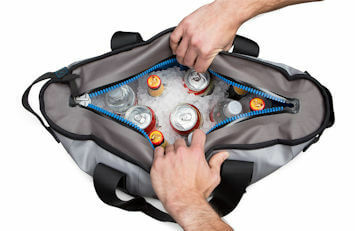 This is one personal drink cooler you can’t do without! 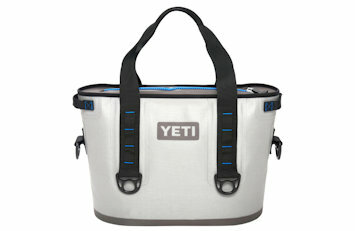 YETI Ramblers are made from 18/8 stainless steel with double-wall vacuum insulation. 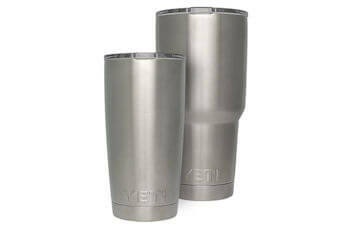 Rambler Tumblers keep your soda or mixed drinks cold twice as long as plastic cups, and make an excellent YETI coffee mug. 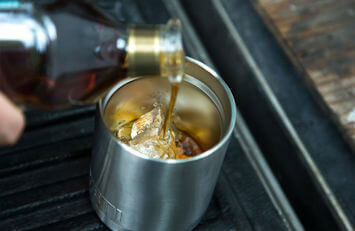 The Rambler Colster locks in the cold of cans and bottles using a heat-mocking ThermoLock™ Gasket. 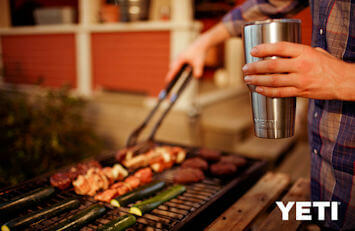 The Rambler 10oz Lowball is the ideal drinking companion indoors or out. The double-wall vacuum insulation keeps your hot drinks hot and your cold drinks cold far longer than standard mugs or cocktail glasses. And unlike your favorite bourbon glass, this Lowball will never shatter on impact or leave a ring on your coffee table thanks to its 18/8 stainless steel construction and No Sweat™ design. 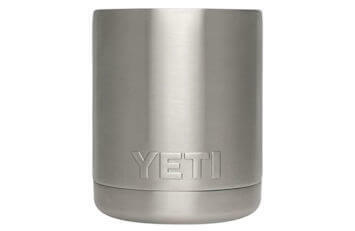 The YETI Colster™ is the next evolution in can-insulating, hand-protecting technology. 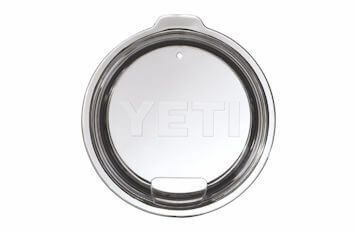 This excellent drink insulator keeps your 12 oz can or bottle chilled. Plus, you benefit from double-wall vacuum insulation and a Load-and-Lock™ Gasket that locks in the cold. The heavy-duty stainless steel walls are sweat-proof, so your hands stay in tip-top shape whether it’s warm or cold outside! 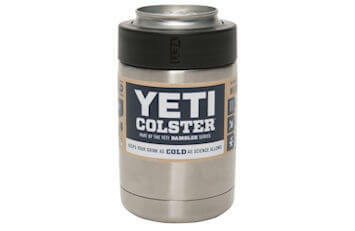 Available in 20 oz and 30 oz, their kitchen-grade 18/8 stainless steel and double-wall vacuum insulation keeps frosty drinks cold and hot drinks piping hot. 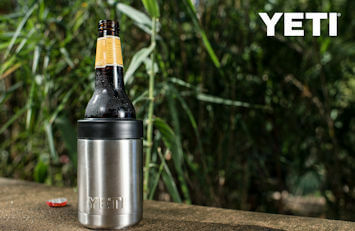 This tough personal drink cooler maintains ice twice as long as plastic tumblers — and it’s terrific for hot beverages. 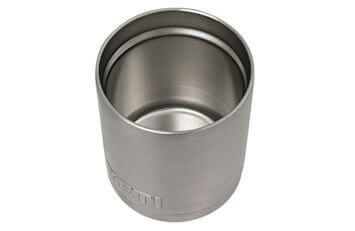 The lid is easy to clean, shatterproof and crystal clear so you know exactly how much of your drink is left. Dishwasher safe. 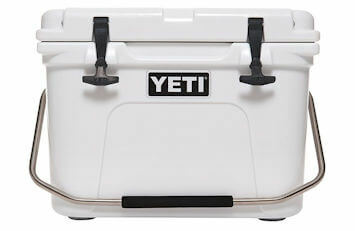 Enjoy a huge family of premium YETI coolers built for the wild! 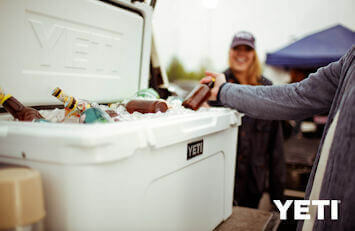 Take a YETI cooler on your next road trip, use it at your backyard barbecue, pool party, hunting trip or boating excursion. Take them everywhere…they are built for every occasion! 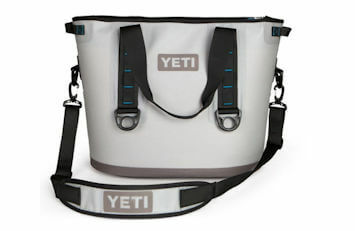 It’s a leakproof, incredibly portable cooler that keeps your ice cold for days. It withstands heavy abuse using some of the toughest materials around. 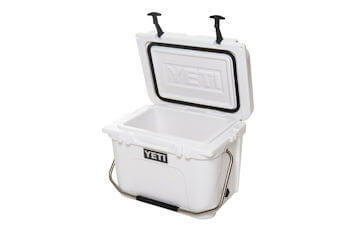 Easily transport at least 18 icy cans in your Hopper using its carrying strap or sturdy handles. Unlike other soft-sided coolers, it’s puncture-resistant, leak-proof and sports an anti-microbial liner that resists mildew. 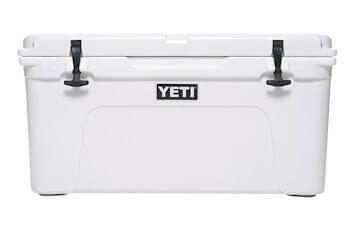 This cooler is backed with a 3-year warranty. 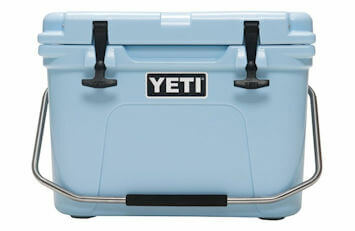 YETI’s are known for being indestructible and keeping things cold. And the Hopper 30 is no exception. 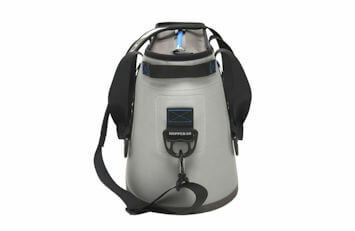 This 100% leak proof portable cooler is built for the long haul and insulated to keep ice for days. Easy to carry and designed for those on the go. Well suited for long weekends, picnics, backyard barbecues or a day on the water. 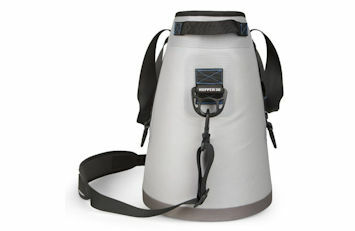 The Roadie 20 is the best personal cooler to protect your drinks from the heat. 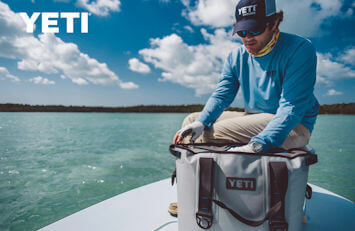 Built with hardy one-piece construction and ice-retaining insulation, this small personal cooler is equipped with a heavy-duty stainless steel handle for better portability. Unbreakable, self-stopping hinges, make it the perfect size to take everywhere you go. Available in white and ice blue. 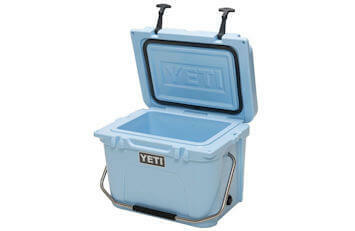 This cooler is backed with a 5-year warranty. 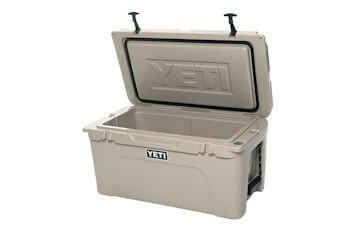 Our customers’ top pick because of its versatile 26-can recommended capacity and easy portability. 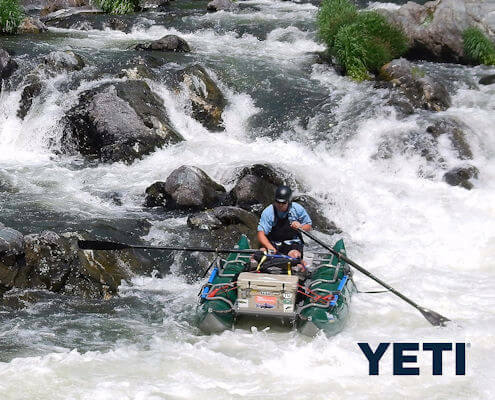 With legendary Yeti toughness, it’s made from roto-molded polyethylene, is UV resistant, heavily insulated and nearly indestructible. 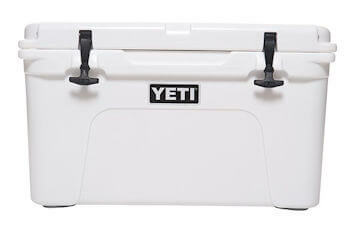 The durable, marine-grade polyester rope handles with textured grips let you easily haul your Tundra 45 camping cooler anywhere. Great for a day on the lake with molded-in tie-down slots and non-slip feet. 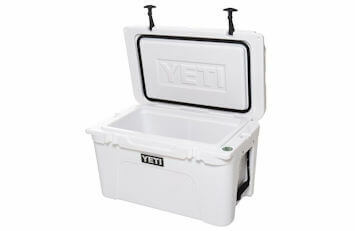 Like all YETI Coolers, it’s built to be grizzly proof, keeping your food safe in the back country. Comes with one dry goods basket. Available in white and tan. 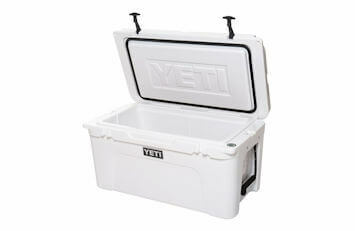 A heavy-duty cooler, it keeps food cold in the great outdoors or serves as the drink-and-food hub for your tailgate or backyard party. 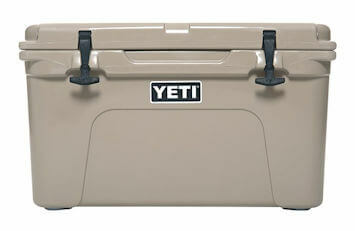 A roomy ice chest holds 39 cans or a small quartered deer. 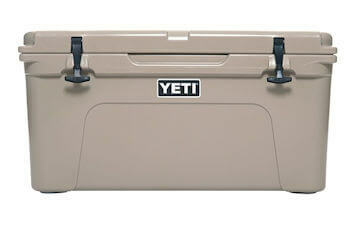 It keeps food and drink cold longer thanks to two inches of insulation and a cold-keeping gasket. Dry ice compatibility helps keep everything frosty even on long trips. Integrated, self-stopping hinges stand up to excessive use. 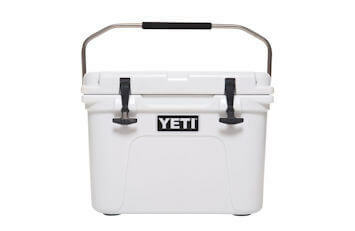 Handles made from marine-grade polyester rope with textured grips make carrying easy. It makes a great casting platform on the water. 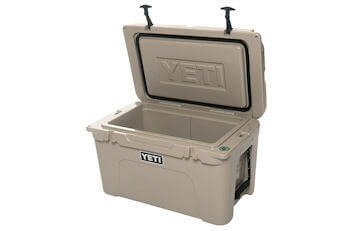 And as a hunting cooler, the grizzly-proof design gives you peace of mind. Comes with one dry goods basket. Available in white and tan. 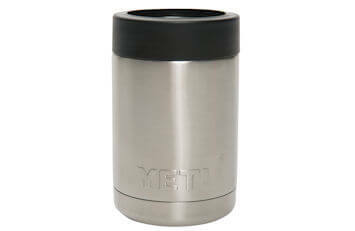 Why a YETI Rambler Tumbler? Looking for great ideas on outdoor living and backyard fun? Find tips here!